#31: What is SINP Expression of Interest System? 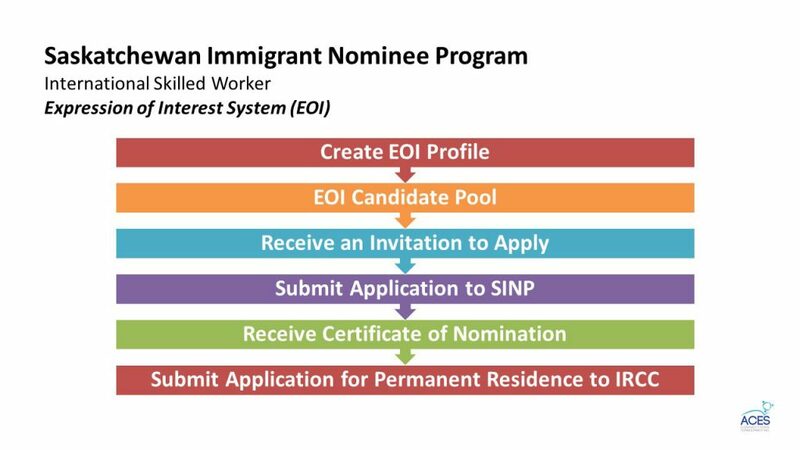 Wondering about the new Expression of Interest (EOI) System implemented by the Saskatchewan Immigrant Nominee Program (SINP)? In this episode, you'll learn more about what SINP EOI is and the new process for seeking nomination from the province of Saskatchewan. You'll also find out how it increases your chances of getting nominated for permanent residence to Canada. The Saskatchewan Immigrant Nominee Program has recently introduced the Expression of Interest System for the International Skilled Worker Category. The EOI system is applicable to both the Occupations in Demand and Express Entry sub-categories. HOW DOES IT INCREASE YOUR CHANCES OF GETTING NOMINATED FOR PR? The Saskatchewan Immigrant Nominee program was previously using the application thresholds system - wherein they open a certain number of spots a few times a year. As a result, we were always on the lookout 24/7 to catch those openings! It was on a first come first served basis. The new Expression of Interest system is similar to the Express Entry System used by the federal government for the Federal Skilled Worker and Federal Skilled Trades Program as well as the Canadian Experience Class. The new EOI system keeps the International Skilled Worker program always open for qualified candidates. The EOI system serves as a pre-application process. Candidates fill in an online form to let SINP know that they’re interested in applying under the International Skilled Worker Program. Furthermore, it allows candidates to demonstrate their qualifications. Create your EOI Profile - make sure you enter accurate and updated information here. Get entered into the EOI Pool - you have to meet the program criteria and get a minimum score of 60 points in the points assessment grid to be entered into the EOI pool. Receive an Invitation to Apply - SINP ranks candidates in the pool and if you're one of the highest ranking candidates, you'll be given an Invitation to Apply through an EOI draw. Submit your application for nomination to SINP - Once you receive an invitation to apply, you'll be required to submit a complete application package for nomination within 60 days. In order to submit your application, a payment $300 application processing fee is required. Receive a Certificate of Nomination - SINP will review your application and issue a nomination certificate if you are deemed qualified under the program. If you applied under the Express Entry sub-category - you'll receive an invitation to apply on the next Express Entry round of invitation. If you applied under the Occupations in Demand sub-category - you'll have to send in your paper application to IRCC. Now that you've learned more about SINP's new EOI System, I'd like to find out what you think about the new system SINP has implemented. Please share your thoughts in the comments section below. If you'd like to submit a question, click the button below and send it in. Copyright © 2018 Aces Connections Consultancy Inc. All Rights Reserved.